11 colour(s) to choose from! A simple great value step pedometer featuring a clip on the back so it can be attached easily to belts and waistbands. Ensure your customers reach their 10,000 steps per day whilst effectively promoting your brand! Choose from a great range of translucent colours or there's an all silver option too. 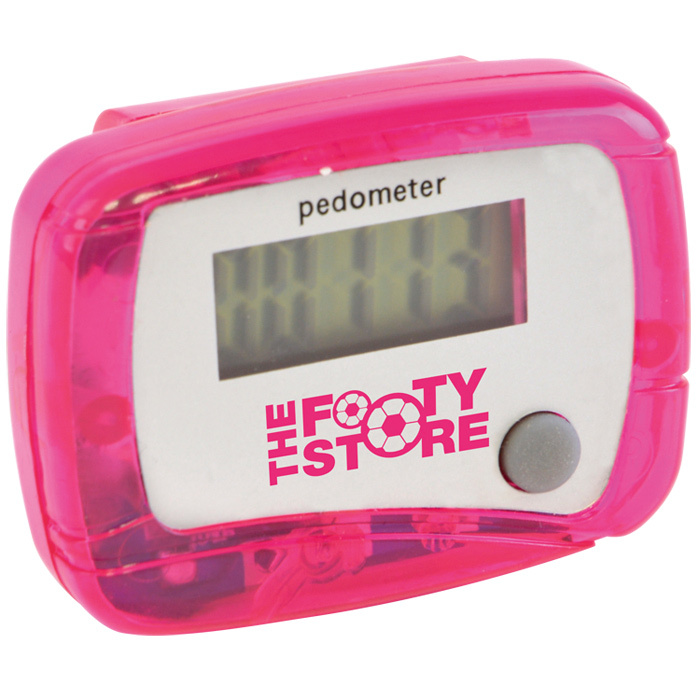 For orders of 500 pedometers or less (with a 1 colour print) we also offer an express service on this item. These pedometers are measured using a ball bearing which measures levels of physical activity and they are not 100% accurate. Price includes a 1 colour print below the display. Dimensions: 47 x 35 x 13mm. Print area: 20 x 7mm.